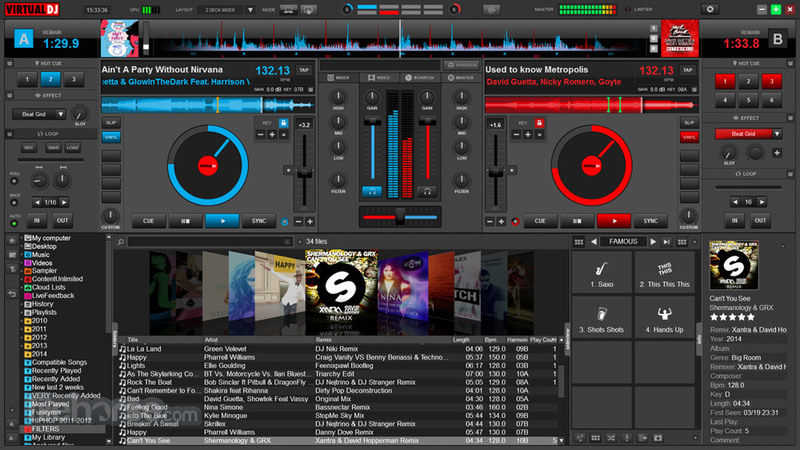 Virtual DJ is a download software used by DJs to replace their turntables and CD players, and use digital music instead of vinyl and CDs. In the same way that the CD players used by DJs have more options than a regular Hi-Fi CD player, DJ Virtual for Windows has more options than a simple media player like iTunes. It lets you "mix" your songs, by playing two or more tracks at the same time, adjust their relative speed so that their tempo will match, apply effects like loops etc, and crossfade from one side to the other. 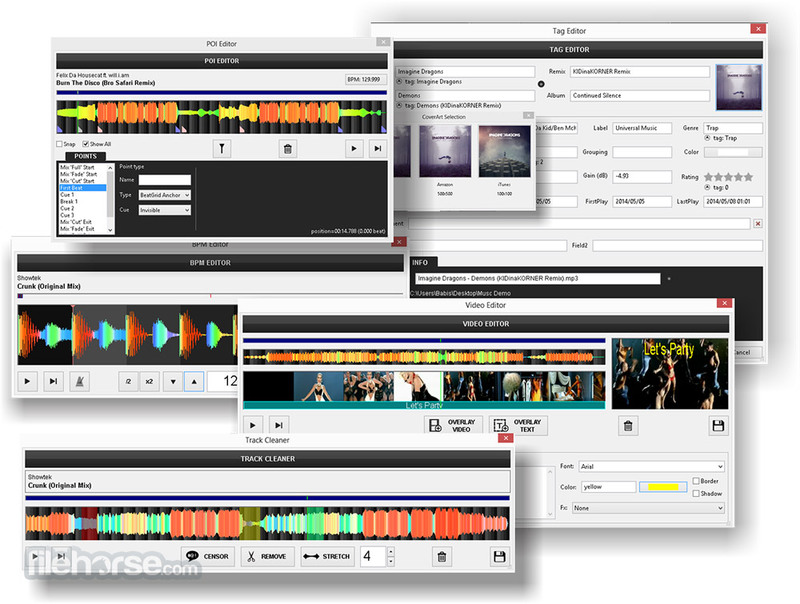 It also lets you scratch your songs, set and recall cues, and all the other regular features DJs expect to find to be able to mix. It will let you organize your collection of tracks and group them easily in a DJ-friendly way, using filter to find the hot songs, or find compatible bpm or key, access your previous playlists, etc. And if you're missing a track, This Free DJ Software will automatically find it on the Internet and stream it directly (*requires an additional subscription). 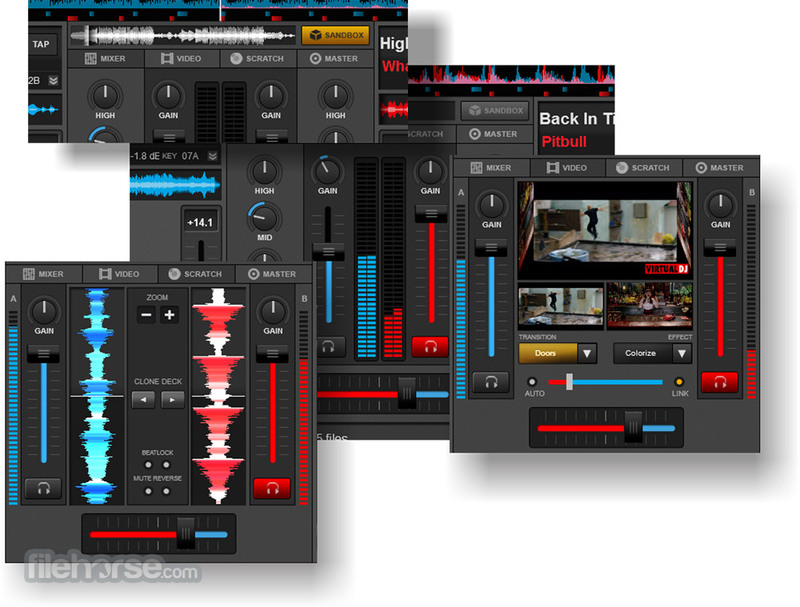 And, using the millions of automatic reports Virtual DJ get every day from other Virtual DJ software users around the world, it will give you meaningful advices on which songs other DJs consider to go well after what you just played. DJ Virtual offline installer for PC can play not only audio tracks, but also video or karaoke, if you connect your computer to a projector or the club's screens. 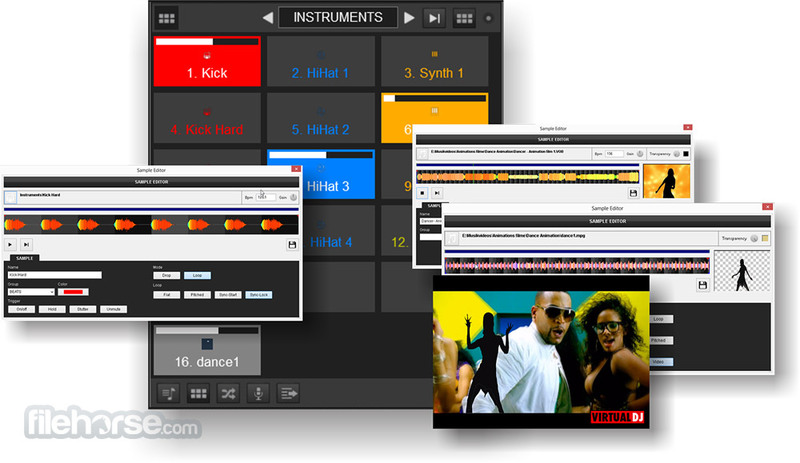 Virtual DJ is plug-and-play compatible with most of the DJ controllers that exist on the market. Just plug yours and you will be ready to go. And if you want to change any of the default behavior, Virtual DJ for Windows has a powerful "VDJScript" language that will let you easily tweak any functions exactly to your liking. Same for the interface. If you want to change it, VDJ website hosts hundreds of user-made interfaces to replace the default one, or you could easily create your own.